Belatrix Software, a leader in software development in Latin America, recently attended Nexus 2016, an event which brings together key figures from the world of nearshore services. In its sixth year Nexus 2016, organized by Nearshore Americas, brought together over 150 attendees from throughout Latin America, including the former President of Costa Rica, Laura Chinchilla. 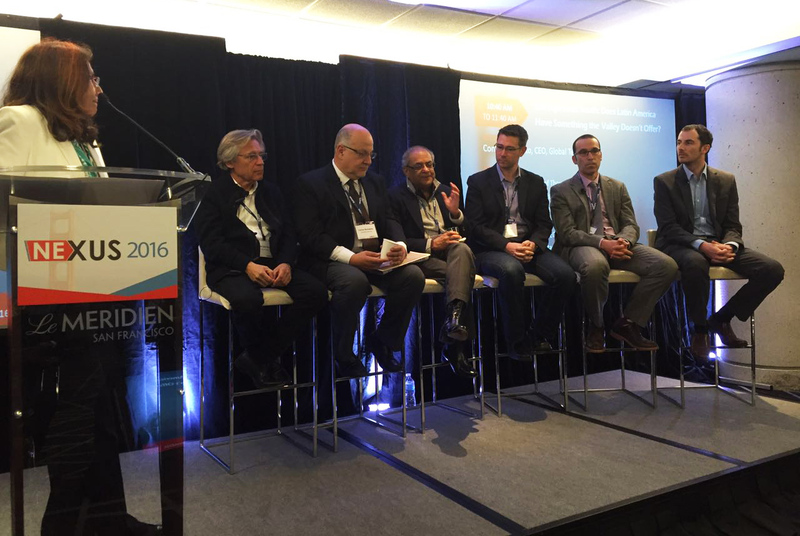 For the first time the event was held in the tech-centric city of San Francisco. Charles Green, Belatrix’s Director of Thought Leadership, spoke at the event during a panel discussion on how startups from Silicon Valley can best make use of partners from Latin America. Start-ups, as they seek to innovate faster and more effectively on limited budgets, can benefit in particular from the skills, capabilities, and flexibility provided by nearshore partners. Charles Green highlighted some of the key successes Belatrix has had working with startups in the Valley, and commented: “Ultimately it's about innovation and getting better products to market faster, and nearshore is ideally positioned to provide this. Nearshore can provide ease of collaboration and visibility, which makes applying real-time Agile development services much easier to implement”. Belatrix, which recently inaugurated new offices in Buenos Aires, continues to grow rapidly. Startups from Silicon Valley and other innovation hubs throughout the USA and Europe are helping to drive this growth. Belatrix Software helps clients achieve the full impact of their R&D capabilities developing high quality, innovative software, QA, testing and mobile solutions that enables clients to generate best-in-class software products, decrease time to market, and gain competitive edge. Belatrix's clients include both established Fortune level and emerging, venture backed firms. Some of the firm's clients are Disney, Adobe, SiriusXM, mFoundry, and Chatham Financial. Belatrix is a South American company with offices in Naples, New York, Buenos Aires, Mendoza and Lima. For more information, please call +1 (855) 521-4533 or visit http://www.belatrixsf.com.